With Windows 10 getting major updates twice a year, the operating system is always seeing new improvements. In a new one of these updates, Microsoft is overhauling the Windows search feature, now beta testing indexing changes with Windows 10 19H1 Fast Ring build 18267. Noted on the Windows Insider Blog, Microsoft’s search improvements involve enabling Windows to index and search all folders and drives, instead of limiting it to the default documents, pictures, and videos folders. Currently, the feature is only available in preview testing and isn’t turned on by default. For consumers beta testing Fast Ring build 18267, it can be enabled by heading to Windows settings and selecting “Enhanced” under Windows search settings. The indexing will then take about 15 minutes and Microsoft recommends to plug in before starting since indexing can be a resource intense activity. As the Windows Insider beta testing program often sets out to do, the change was built on the feedback of those who found that Windows search needed improvements. “When the indexing is complete, you’ll be able to find all your files almost instantly when you use Windows Search. To exclude a folder from search, add it to the Excluded Folders list. Thanks for your feedback about search and the indexer. These improvements were made because of your input. Keep the feedback coming,” said Microsoft. Microsoft is officially calling the new mode “Enhanced Search” and it will be interesting to see if it will make Windows searches more accurate and less painful. Regardless, the experience could still be buggy, as it is being previewed with an early beta version of the next update to Windows 10. The name can also change, too, and it might even be removed, as Windows 10 preview features have come and gone in the past. 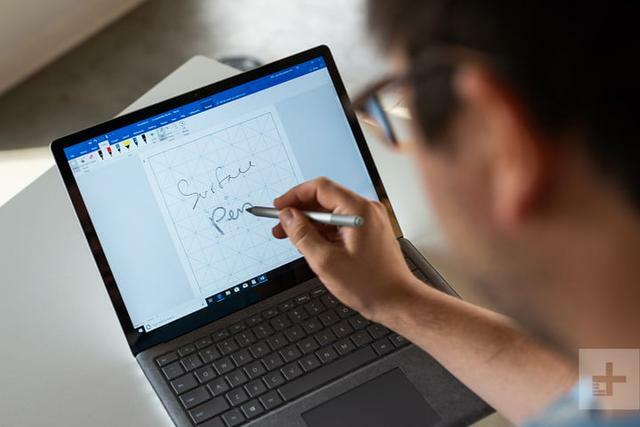 This is just the latest set of changes coming in the next version of Windows 10 as a previous preview recently introduced the ability to remove more of the pre-installed Microsoft apps on a PC. The same Windows 10 19H1 Fast Ring build 18267 also adds in Vietnamese Telex and Number key-based keyboards, more symbols on the touch keyboard, and several improvements for Windows narrator. that's nice.. thank u for the detailed info tech..
but it's still not gunna get me to switch from my Win 7 x64 OS..
, Microsoft is overhauling the Windows search feature, now beta testing indexing changes with Windows 10 19H1 ﻿Fast Ring build 18267. Microsoft is now hard at work on the next feature update for Windows 10, codenamed 19H1 and scheduled for release this April. This update is expected to include yet more changes, new features, and further UI refinements and improvements. Development of this release is just about feature complete, meaning we're not expecting this changelog to change too much between now and its official release this spring. Just let's hope that this new update will run smooth. As Windows 10 users may remember, version 1809, released in October 2019, had to be delayed about 3 month because of serious flaws. According to some reviews, it still has some glitches, though I had not noted any issue since I updated in late December. If you have a computer using Windows 7, results updating to Windows 10 might not be quite satisfactory. Even if your system is 100% compatible and your update goes through without any problem, probably it will slow down. You may note this dramatically at startup or running some applications. I've been using recently an "updated" Windows 10 computer, originally sold for Windows 7 and startup takes more than a minute, while on my Lenovo laptop bought with Windows 10 it takes about 15 seconds. There is some concern among users about security issues regarding Windows 7 once updates won't be available. Let me comment that I installed Windows 7 X64 Ultimate on an older computer in 2014, running it also with Windows XP using dual boot. While I've bee updating Windows XP as POSREADY using a very simple registry hack, I simply couldn't install SP1 for Windows 7 until recently when I found out that it was for a bug in Windows Update and at some moment Microsoft released a patch to solve the issue. In more than 4 years I never had any security issue using standard antivirus and anti malware protection, mainly Avast Free, PC Tools Firewall, Malwarebytes Antimalware and Spybot. So, I expect to continue using Windows 7 past expire date.